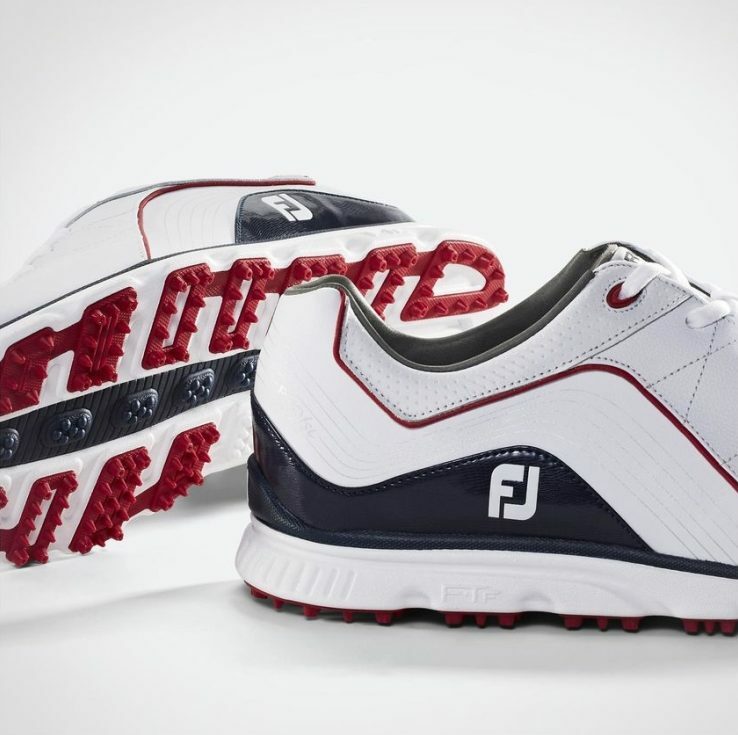 The FootJoy Pro SL golf shoe has been on the scene for several years and has established itself as the #1 shoe on the PGA Tour. 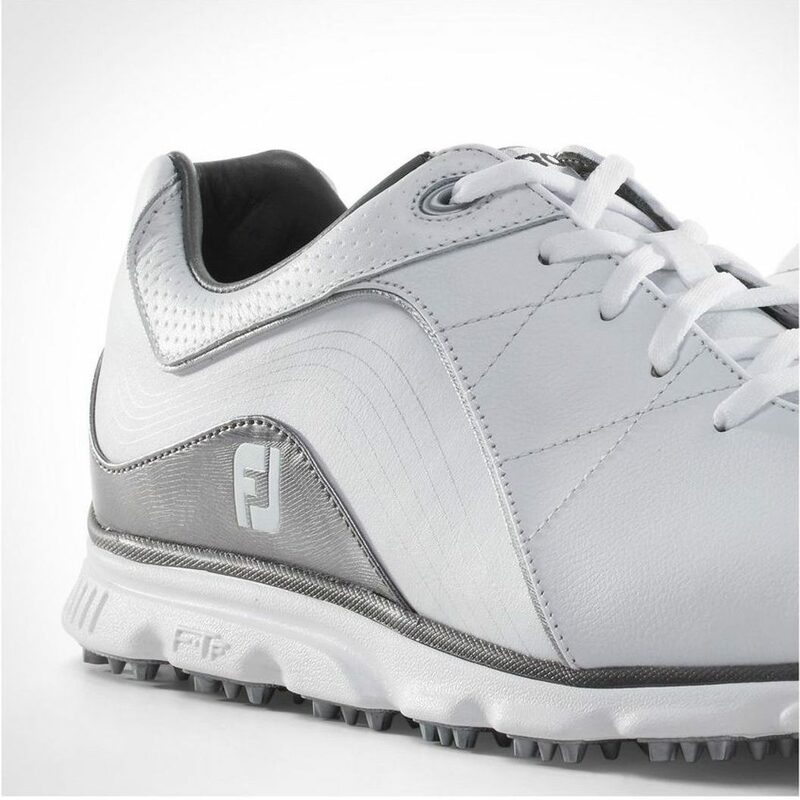 The spikeless shoe blends comfort and stability into a stylish package you’ve come to expect from FootJoy. In the latest version of the Pro SL, FootJoy maintains many of the aspects that have made them successful in the past. They also add some changes to set them apart from previous models. Our review looks at the similarities and discusses the differences in the new Pro SL shoes. 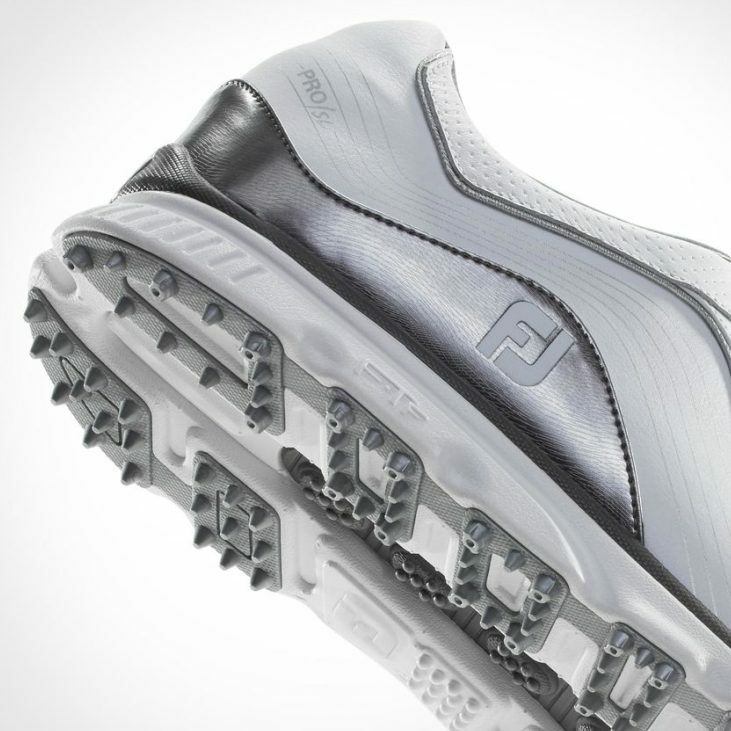 Let’s start with a brief refresher of the features that are returning to the FootJoy Pro SL. The upper of the new Pro SL is made of the same ChromoSkin™ leather from Pittards of England found in previous models of the shoe. This specific leather is soft, letting the shoe flex with your foot during the swing. It’s also a durable leather and has the company’s 2-year 100% waterproof guarantee under normal use. Those that loved the fit of past Pro SL shoes will be familiar with the Laser Plus Last (frame) on the new shoe. There’s no need to size up or size down. If you haven’t tried on a pair previously, the toe box and forefoot have a standard fit. The heel tapers to a narrower fit, keeping the back of your foot from sliding out when you swing. Designers also brought back the same comfort bed and traction on the sole of the Pro SL. Two layers of Fine Tuned Foam (FTF) stack on top of a TPU molded sole to form the bottom fo the shoe. The top layer of FTF is soft, forming a cushion of comfort for your feet. Think of it like the pillow-top layer on a mattress. 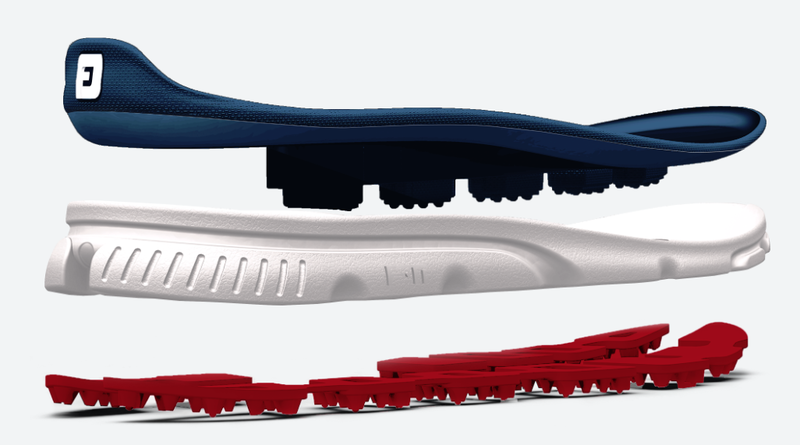 The second layer of FTF is firmer, giving the shoe stability as your foot moves laterally during your swing. The TPU molded sole is comprised of 223 points of contact, giving outstanding traction from any lie. Cone-shaped “spikes” make up most of the TPU. There’s also stud-like nodes placed in key areas around the outside of the TPU and around the balls of your feet, adding to the overall traction. FootJoy also continues to offer traditional laced and BOA lacing system models for you to choose from. Enough about the similarities. It’s time to find out what’s different on the new Pro SL shoes. In the past, a distinct “X-shape” could be seen on the outside of the shoe. This feature offered more than just good lucks. As you tightened the laces, the “X” would hug around your foot for stability. That shape is gone but the stability isn’t. The new Pro SL shoes have a wave-like pattern on the outside where the “X” used to be. 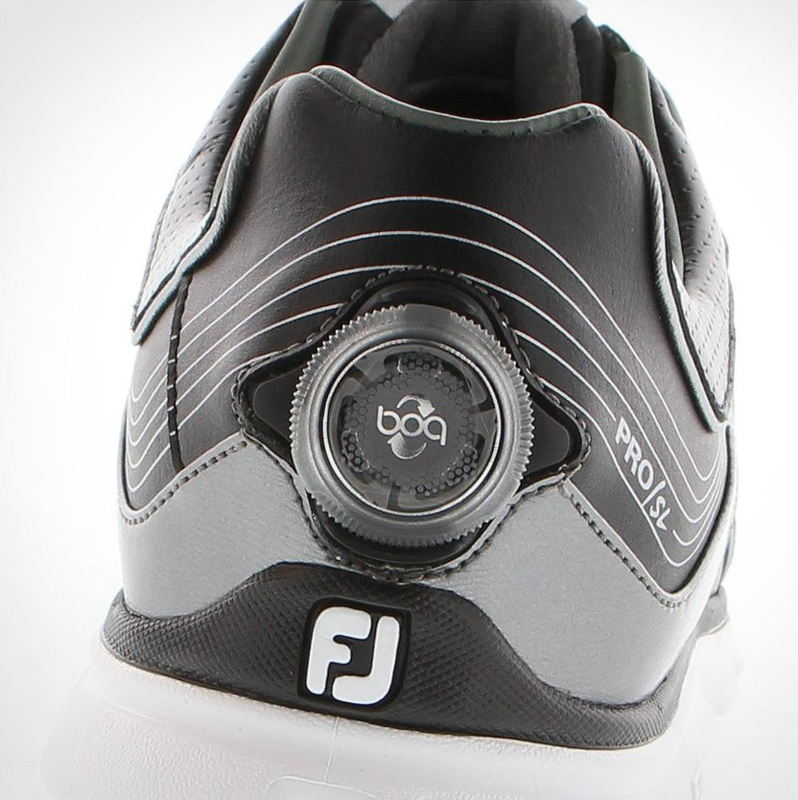 When designing this new show, FootJoy wanted to emphasize the stability on key parts of the foot. The shoe already delivers traction from the bottom. This new design focuses more on the upper part of the foot and covers more area (front to back) of the foot. The other difference is the color options. FootJoy streamlined the lineup from 8 offerings to 6, 3 colors available now and 3 more to come in January of 2019. Available now (above) is a white shoe with navy accent color and red piping. There is also a white shoe with silver accent color and piping. The BOA version of the new Pro SL shoe is mostly black with silver accent color and piping. The changes that FootJoy made to the new Pro SL shoes are subtle, but frankly, they didn’t need to change much. 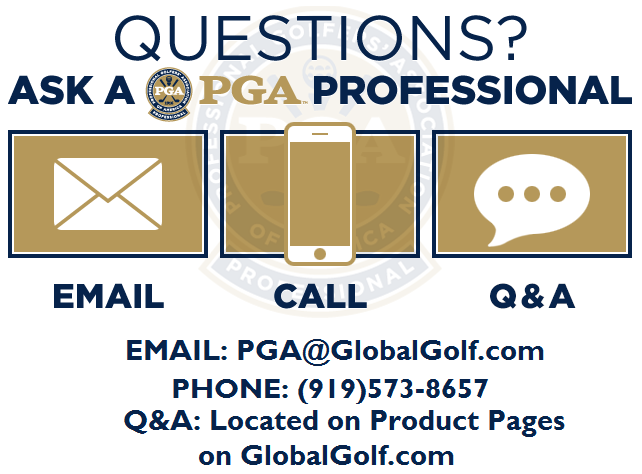 Previous versions were extremely successful both on the PGA Tour and with consumers. No need to overhaul what’s already working so well. With that said, the changes to the stability (no “X”) and styling make for a really comfortable shoe that gives you confidence and performance on the course.